Little Shelford writer Sarah Vaughan's new novel, Anatomy of a Scandal, was published in paperback in October 2018. The book has already appeared in the Sunday Times top 10. She saw her first book The Art of Baking Blind published in 2014. The book was published in paperback in August 2015. Sarah started writing the book in earnest the week her son Jack started school lin September 2012 in the same month she turned 40. She had been mulling ideas over for five months before then. Writing's not in her genes but she did once win a writing comp - Devon Young Writer of the Year - aged ten. Brenda Bishop helped with this book by lending Sarah old cookbooks from the 1950s and 60s. One of the character, Kathleen Eaden, is a play on Eden. Sarah took the name with its obvious play from Eaden Lilley in Great Shelford. The book will also be published in Italy, the Netherlands, and German, Brazilian and American auctions are either in the offing or being set up. Sarah and her family have lived in Little Shelford since March 2010 but in Great Shelford from October 2008. She worked at the Guardian from 1997. Her big break was on the weekend Diana died, no one was around and she had to write 2,000 words very quickly. She left the Guardian in November 2008. She met various celebrities while working in the media. Prime Minister David Cameron signed her mortgage form; she travelled with Tony Blair and interviewed Leonardo di Caprio; Sarah also covered Soham and Sarah Payne and Mirror libel case involving Naomi Campbell and the first Stephen Lawrence hearing. Sarah's publisher, Hodder is interested in her writing a blog/articles about old family recipes - so if anyone from this era felt like offering her favoured recipes she'd be happy to try them out and perhaps incorporate them. She may even publish some recipes in the back of the book. Read an exclusive blog by Sarah Vaughan here. Fanny Wale was Little Shelford's first historian who died in 1936. She wrote and illustrated a book called A Record of Shelford Parva between 1908 and 1919. The book mentions former England football captain Arthur Dunn, famous garden designer Lawrence Johnstone and war hero Sid Dockerill who all had strong connections with Little Shelford. There was only ever one copy of the book, which is now held by the Cambridge Archive. However the book was republished in 2012 with support from the Heritage Lottery Fund following work by David Martin and the Little Shelford Local History Society. Fanny Wale was the eldest of Colonel Robert Gregory Wale’s seven children. When she was born in 1851 the paint was scarcely dry in the spanking new Shelford Hall which her mother’s money had built. (The hall burnt down in 1929). She also lived at Low Brooms and Ivy Cottage during her life in Little Shelford. Read the full profile of Fanny's life by Graham Chinner on the Little Shelford history website. John Sutherland from High Street, Little Shelford has been made a Fellow of the Royal Society in May 2017. John’s research concerns the origin of life – how did chemistry initiate biology and to what extent did it shape its basic structure and function? His research to date has focused on establishing prebiotically plausible syntheses of the building blocks of the informational, catalytic and compartment–forming macromolecules crucial to life, and his group is now seeking to establish how these building blocks could have become linked together. istry of hydrogen cyanide and that set turned out to work. His research has been recognised by the award of the Darwin Medal, the Tilden Prize of the Royal Society of Chemistry, and by his being appointed an Investigator of the Simons Collaboration on the Origins of Life. Douglas Walker was born on 10th April 1917 to Joe and Emma Walker in Swiss Cottage where he lived along with his 3 siblings. He continues to live independently in the village to this day and is looking forward to celebrating his 100th birthday with friends and family. Douglas has good memories of attending the local primary school and then going on to the High School in Cambridge. In September 1939 he became a private in the army during the Second World War. In fact, he was quickly promoted to achieve the rank of Regimental Sergeant Major, the youngest person to do so at the time. of the Parish Council, Chair of the Recreation Committee and Chair of the Men's Club. Alongside the day job and his service to the village, he pursued his long love of sailing, racing high speed catamarans wherever he could both in this country and abroad. A shelf full of cups and trophies attest to his many successful competitions. Over the years, Doug has amassed a wealth of memories of life in Little Shelford. He recalls more open spaces in the village before many of the houses we now take for granted were built. He remembers playing with his hoop and his top on the Whittlesford Road since in those days it saw almost no traffic, except for the odd horse and cart. One day two motor cars came down the road at once which caused Doug's playmate to comment that the village was becoming more like Piccadilly Circus every day! Douglas can recall when the village had 4 pubs and a general store. Shopping was supplemented by the various mobile merchants who plied their trade selling, bread, hardware and fish and chips. The local dairymaid brought round the milk (straight from the cows) in a bucket that hung from the basket of her bike. She ladled the milk into the consumer's waiting container! Doug puts down his longevity to having a calm and settled life with good friends, good luck and also to avoiding red meat. He loves his vegetables and still gets his five a day even now! We wish him a very happy birthday and many more years of good health. Dr Martin Mansergh is an Irish politician who grew up in Little Shelford who went on to play a vital role in the northern Ireland peace process. 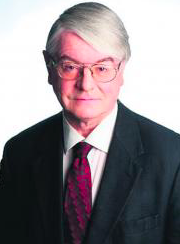 Dr Mansergh is a former Senator and Junior Minister in the Fianna Fail Government as well as being a historian and author. He was born on 1946 in Surrey and raised in Little Shelford. He was educated and obtained a Doctorate at Oxford University where he studied Politics, Philosophy and Economics. He entered the Irish Department of Foreign Affairs being appointed a third Secretary in 1977. Mansergh was also a former Diplomat and political advisor to Taoiseach Charles Haughey, Albert Reynolds and Bertie Ahern. As a senior advisor to Taoiseach Bertie Ahern, Mansergh played a vital role in the Northern Ireland Peace Process and contributed to it greatly in the last 20 years. He was involved in discussions between Nationalist parties and the Irish Government and met regularly with the Redemptory priest, Father Alec Reid. He was a co-winner of the 1994 Tipperary Peace Prize. In 2008, he was appointed as Minister of State at the Department of Finance with responsibility for the Office of Public Works, Minister of State at the Department of Arts and Sports and Tourism. Mansergh was also a member of the Council of State during President Mary McAleese’s second term between 2004 and 2011. A lady born in Little Shelford in 1909 has died. Nancy Giggle was 106. She had lived on the High Street in Little Shelford. She went to school in the Shelfords until she turned 14, and then moved into her Grandfather’s bakery where she also worked for several years. Later she moved to Great Shelford to work in her aunt’s cake shop on Woollards Lane. During the Second World War, she worked at Spicers in Sawston, before returning to Great Shelford where she worked as a dressmaker for more than 20 years. After retirement she moved into a nearby residential home, and relocated to Home Close in 2011. When asked for the secret to a long and healthy life, she told the Cambridge News: “I believe that keeping mentally active with reading and daily crossword solving is good for you. While she has no children, Nancy enjoys visits from members of her family, including her nephew Peter and his wife Jess. She always makes an effort to enjoy her daily crossword puzzle, and is happy to be involved in daily activities and socialising with other residents at Home Close. Read a Cambridge News article about Nancy's 105th birthday here. International children’s charity World Vision UK has named Tim Pilkington from Little Shelford as its new Chief Executive. Tim, who has served as Acting Chief Executive since January, will oversee the charity’s work in more than 20 countries with an annual budget of over £70million. He joined the organisation in January 2013 as Director of Finance and Risk and Company Secretary, where he was responsible for all financial and legal aspects of the charity’s work. He began his career as a teacher before training as a tax consultant and rising through the ranks of Shell to take up a Vice President position. Some of the best regarded recording equipment in the world started life in a workshop in Little Shelford. Rupert Neve was living at the Priesthouse in Church Street in the 1960s when the famous electronic engineer used one of the outbuildings there to create the forerunner of what became the professional sound desk. The equipment is still known as the Shelford range. Rupert Neve is known for his work on microphone preamplifiers, equalizers, and early large format mixing consoles. Many of his long discontinued products are considered classic equipment and are very highly sought after by the professionals in the recording industry. This has resulted in several companies releasing products that are Neve replicas or clones. He is often credited as the man who made the recording console. Sound Magazine in 1999, and was selected by his peers as the number one audio personality of the 20th century. When he was 17 he was in the Signals. In the 1950s he worked for Rediffusion. Neve left the company, and formed CQ Audio, a company specialising in the manufacture of hifi speaker systems. In the early 1960s he designed and built a mixing console. In 1961 he formed Neve Electronics. Neve then started a life of manufacturing and designing audio recording equipment. Neve has founded or been involved with several companies and currently runs Rupert Neve Designs, based in Texas where he lives with his wife Evelyn. They have been U.S. citizens since 2002. 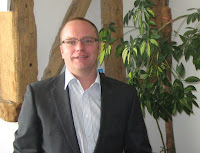 Click here to hear Rupert talking about his days in Little Shelford. You can see the company website here. Greta Hague, widow of the late Little Shelford vicar Rev Eric Hague died aged 95 years, at Trumpington in December 2012, surrounded after a short illness. Born of missionary parents in Kunming, China, she trained in medicine at Cambridge University and King's College Hospital, London, before returning to China as the superintendent of the CMS Way of Life Hospital, Guilin in 1947. There she met Eric, whom she married in 1948. She and Eric left Guilin in 1949, working in Hong Kong until a return to the UK in 1957. After Eric's incumbencies in Woking, High Wycombe, Little Shelford, and Parr Mount, St Helen's, where Greta resumed medical practice for a short time, they retired first to Hoylake, then to Chipping Norton, to Appleby, and finally to Cambridge, living first in Oakington, then Coton, and lastly in Manor Court, Grange Road. Her husband Eric was the Rector of All Saints Church. Eric's grave in the Church Yard is the only headstone to have a message in Mandarin on it. In every home her Christian hospitality was legendary, and she was a loved friend and confidante of many. She maintained her passion for China and its people, especially those with leprosy, returning several times, most recently in 2011 for the Centenary of the Way of Life Hospital, now the Guilin Women's and Babies' Hospital, and also the 125th anniversary celebrations of the CMS Po Yan Hospital, Pakhoi, now the Beihai People's Hospital, where her father had first worked in China, particularly with leprosy patients. Her life's passion was to share that Bible-based Christian faith in the living Lord Jesus could be held and maintained vigorously, even into old age. In her final years, she shared a home with John and Anna, continuing her prayer and China interest groups until her last weeks, as well as an active international email correspondence. Her obituary appeared in The Times. Paul Leivers has been highlighted as a rising star of the Construction industry after being selected as one of the top 40 to watch over the next decade. been involved in the planning and successful delivery of a £50 million yacht. He has also just set up a construction company called CB1 Build Ltd. The mother of two, who lives on Whittlesford Road, decided to set up her company when she couldn't find suitable rainwear for herself. “Because cycling is so important to me, I’ve tried all types of rainwear and found them all unsatisfactory,” she said “My daily ride into Cambridge is five miles so if it’s really wet or windy it’s a long way. I don’t want to have to get changed, or carry the stuff to have a shower when I get to work. With no background in design herself, but a keen interest in Cycle Chic, Sally got in touch with Elizabeth Radcliffe, a Cambridge graduate and bespoke tailor, who started developing prototypes to fit her ideas. Sally describes her perfect coat as “long enough to keep my legs dry, it would be a nice coat to wear, you wouldn’t be embarrassed to arrive in it at your destination, you could walk straight into work, a meeting, a party,” and the end result is just that: a range of breathable, windproof and fashion faux-pas-proof coats. Shaista Tayabali's battle with Lupus featured in the Cambridge News in November. Recently, Shaista, who lives in Newton Road, has just started a creative writing MA. She writes a blog – www.lupusinflight.com – which now has followers across the globe. And she also plans to publish a memoir in the future. Shaista has been helped by immunoglobulin treatment – essentially a dose of good antibodies. She then began lobbying for monoclonal antibody treatment - periodic infusions used to stimulate the immune system. “I wrote the Primary Care Trust a very emotional letter. This treatment is expensive, but it’s life-changing. I’ve been having it for the last two years. I haven’t had any high fevers, I’ve been able to start my MA. If you added up the cost of my various hospital stays and all the other treatment I was having before, I think it’s well worth it. Dr Hugh Pelham, director of the Medical Research Council’s Laboratory of Molecular Biology who lives in Little Shelford, has been knighted. Sir Hugh was appointed to head the world renowned Medical Research Council Laboratory of Molecular Biology in Cambridge in 2006. The cell biologist lives in Manor Road. After graduating from Cambridge University, Sir Hugh studied for his PhD under Richard Jackson and Tim Hunt, who was awarded the Nobel Prize for Medicine in 2001 for “discoveries of key regulators of the cell cycle”. Dr Pelham is now head of the Cell Biology division at LMB where he has worked on proteins which help to protect cells against the damaging effects of heat. In his current research, Dr Pelham looks at how proteins find their right places within cells and how mis-shaped proteins are broken down to be recycled. How these processes work in a normal cell can give clues to what’s happening at a cellular level in many human diseases. Little Shelford man Nigel Penn has be appointed to captain the Great Britain Rifle Team to the West Indies in 2013. The tour will be approximately four weeks in duration in April/May 2013. They expect to visit Barbados, Trinidad, Jamaica and Guyana, and we will participate in the West Indies Regional Championships. "It is still a long way off, but a great deal of organisation and fund raising has got to be done prior to the tour," he said. On a similar line, Nigel has been selected as a member of the Great Britain Rifle Team to South Africa in March 2012. The West indies team will be 16/18 strong comprising both experienced shooters and some new caps. The Team will be announced in October. World War. She was therefore one of the many women who struggled bravely to raise their children without the levels of state aid now available to lone parents. She always gave unstintingly of her care and support. Indeed, supporting her sons and grandchildren was the mainstay of her existence. For her and her generation, ‘duty’ and ‘service’ were not mere words; perhaps we should be more aware of their example today. The memorial bench is a small tribute to her memory. Hopefully, it will serve the community for many years. 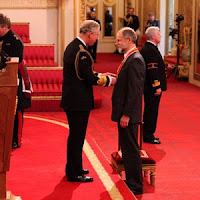 Being proficient with a soldering iron and having an interest in electronics started Professor Andy Hopper CBE on a career in computer engineering that led to him becoming one of the UK's most successful IT entrepreneurs. Andy Hopper studied a computer technology degree at Swansea University, which included elements of business studies and accountancy. After completing his studies he moved to Cambridge University to pursue a PhD. He is probably best known for bridging the boundary between academia and industry and the formation of numerous high-tech businesses. His success in academia led to some of Cambridge's first technology spin-outs. In 1978, Andy Hopper founded Orbis Ltd, to develop networking technologies and during that time he worked with Hermann Hauser and Chris Curry, founders of Acorn Computers. Orbis became a division of Acorn in 1979 and while he was there he designed the chips which led to the creation of the BBC Micro. The experience of Acorn took Andy Hopper along a path that has seen him establish a dozen or more businesses. In 1986 he and Hermann Hauser established the highly successful Olivetti Cambridge Research Laboratory. Andy Hopper FREng FRS FIET, who lives in Whittlesford Road in Little Shelford, maintains that research students should become directly involved in the spin-out companies that use their technology. "My fundamental model has not changed in 30 years, which is that a PhD student who works with me is a partner and should become part of the business. Professor Hopper's next step is to address what computers can do for the environment. He advocates a move towards "energy proportional computing" and computation where every bit of energy is used for a useful purpose or switched off. Although the UK has built up expertise in green computing he emphasises that action needs to be taken soon: "We have got another few years but no more than that. On a local note Andy has flown round the world in his Cessna 210 departing from and returning to his airstrip at Sainsfoins in Little Shelford. Fiona's day job is Sports & Remedial Massage for both people & horses. However competing internationally in motor racing at speeds of up to 180mph is her big passion! She started out in 2006 after a driving lesson on a racing track proved she had a talent for driving. Fiona may also being featured in a dedicated TV series on Motors TV. She moved to Little Shelford two years ago. “I had a lucky find with a house in Litlle Shelford on my first viewing, which was ideal as I have a lot of friends in the area,” said Fiona. Dennis Atkins received the George Medal while serving as a District officer in the Colonial Service in the Bechuanaland Protectorate,( now Botswana). The medal was awarded for his actions in warding off attacks on the Government staff while being wounded during the Serowe riots in 1952. Members of the Bamangwato tribe were protesting against the exile imposed by the British government on their chief (later Sir) Seretse Khama, who had married an English girl. This was anathema to neighbouring South Africa with its Apartheid policy at the time and with whom the British were anxious to stay on a friendly footing. Seretse eventually became a political leader and the first president when his country became an independent, multi-party democracy. Dennis lived in both Church Street and later Courtyards.